A once common sight in the evening sky is fast becoming a thing of days past. 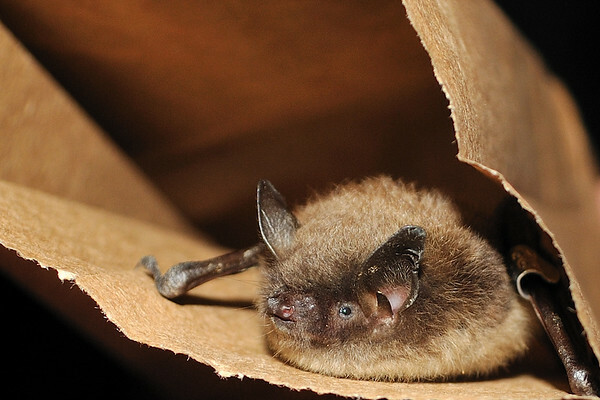 Sadly, the little brown bats that you’d see diving and darting around while hunting mosquitoes, are today nearly nonexistent. Just a few nights ago, while sitting out on the deck at home, I finally saw a few bats buzzing around the yard. After all of the spring and most of the summer season, I was glad to witness the aerial performance. I believe I counted five individuals in all. What’s going on with bats lately? Experts have been aware of a disease called white nose syndrome which has decimated the bat population in the northeast as well as other parts of the country, including Canada. Millions of bats have died from this illness. The cause is not really known, nor is there any kind of real help available for bats. These little creatures are so important to the natural world. It would be such a shame to see them completely disappear from the landscape. In an effort to bring attention to the plight of our state bat population, the DEEP, along with the Department of Community Development will be hosting Bat Appreciation Day. The backdrop for the day’s festivities is the site of the Old Newgate Prison and copper mine. Located at 115 Newgate Rd. in East Granby, the mine itself is the oldest copper mine in the history of colonial America. Parts of the mine were converted for use as a prison during the mid to late 18th century. The mine shafts and caves are wintering grounds for several species of bats. Saturday’s event will bring attention to the importance of conserving the site for the future. There will also be many activities for kids. Scavenger hunts, arts and crafts, bat story time and other historical tales. There will also be live bats on hand to see up close. People will also get a rare opportunity to get a glimpse into one of the bat caves. Saturday’s event will run from 10 a.m. to 4 p.m. For more information, visit the website www.ct.gov/deep/wildlife or visit them on Facebook. I’ve visited the old prison grounds many times over the years. If you’ve never been, it’s a journey worth making. The ancient stones of the buildings and grounds simply fill the visitor with a sense of the history of the place. In other outdoor news, logging crews are busy harvesting wood at Wyantenock State Forest in the Woodville section of the town of Warren. The public parking area off Rt. 341 will most likely be closed through the end of the year. Hunters may or may not be able to access that section of forest this season. Check with the DEEP Forestry Division prior to making any plans to hunt the area this year. Beginning on Oct. 1, private lands within all deer management zones statewide will be open to Sunday bowhunting. Currently, zones 2, 3, & 4a are closed to Sunday hunting. Posted in New Britain Herald, General Sports on Wednesday, 5 September 2018 20:03. Updated: Wednesday, 5 September 2018 20:06.